The speed at which the world is changing is at a point where human adaptability is behind that of the speed of change itself. More than ever before, it's vital to dedicate ourselves to the concept of lifelong learning, striving to keep up with that change. Enter, York University’s Schulich School of Business, Toronto, Canada. 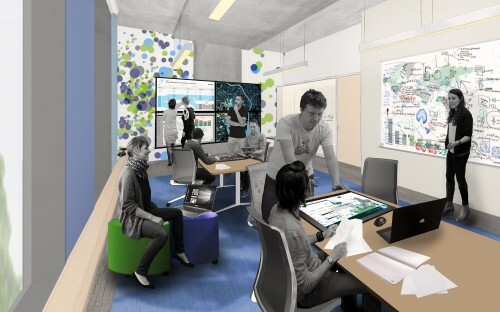 In partnership with Deloitte, the school has designed the Cognitive Analytics and Visualization Lab, created to incubate and develop the next generation of business analytic-savvy graduates. “The lab will provide students and organizations an opportunity to work together in an academic setting over a period of nine months to solve real world data problems, deliver tangible outcomes and develop the next generation of data story tellers,” says Nat D’Ercole, leader of Deloitte’s Finance Analytics practice in Canada and a member of the Schulich Master of Business Analytics program's advisory board. So often, when learning about data analytics, students will work on small, clean data sets. But, by inviting them to work intimately with companies on real-life data issues, Murat explains, they are going to run into bona fide business problems, thus augmenting their understanding of data analytic processes. Advancements in the collection and processing of data means that now, analytics offers hard, objective evidence to work from. “[It is] turning the odds in your favor,” Murat adds. The odds may have turned, but as the problems of yore are eradicated, the issues of today are given rise. “The biggest problem is not how to analyze the data, but who can analyze the data and understand it [in a business context],” explains Murat. Within the analytics lab, students are taught how to match the appropriate analytical method to the variety of business problems brought to them. Enabling them to decipher quickly between the methods that will work best means the potential eradication of slow, analytical processes that have held up businesses progressing in the past. All of the data will be housed in Schulich's cloud servers—Murat adds that there are also plans to incorporate PHd and executive education into the lab to foster further innovation and research into the available data sets. With the Cognitive Analytics and Visualization Lab, that issue is removed as students experiment with the data alongside a professional data scientist and Murat. The hope is that these small data analytic consulting projects will lead to further innovation in the form of PhD research projects, which could eventually yield a fresh culture of competition among the business community in Canada by offering analytical insights from startups all the way up to major corporations. A lot has been made of the analytical capacity of tech giants like Facebook, Amazon, and Apple—holding vast swathes of data and the financial power to swiftly analyze it ensures they leave the rest of the competition in the dust. But rather than choking, the Cognitive Analytics and Visualization Lab has the potential to hoover the dust up, by giving startups and small to medium enterprises (SMEs) more analytical processing power. He adds that the scope for the lab’s clients extends to governments, and companies across various industries. “They [all] manage huge assets, and when they are managing them, over time they run differently than they are supposed to, as a result of wear and tear,” explains Murat.